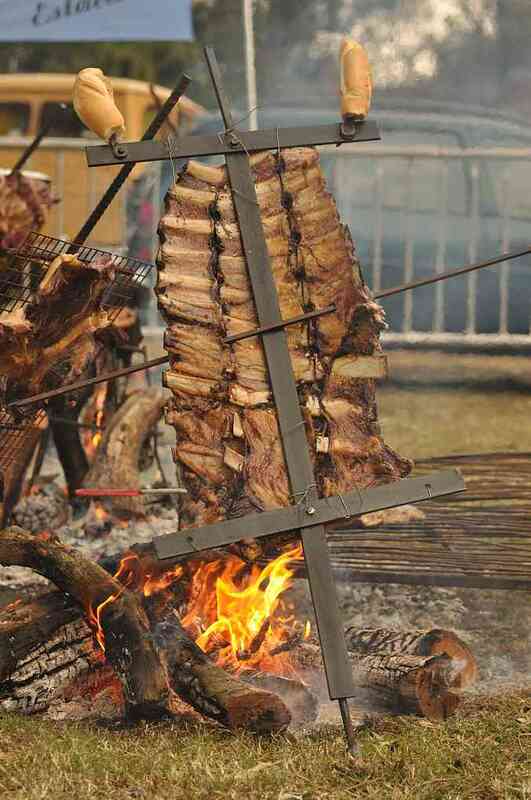 The diverse migratory flows that have reached Argentina from the 1880′s and until now contributed to the richness and variety of the typical [en] cuisine in the country. 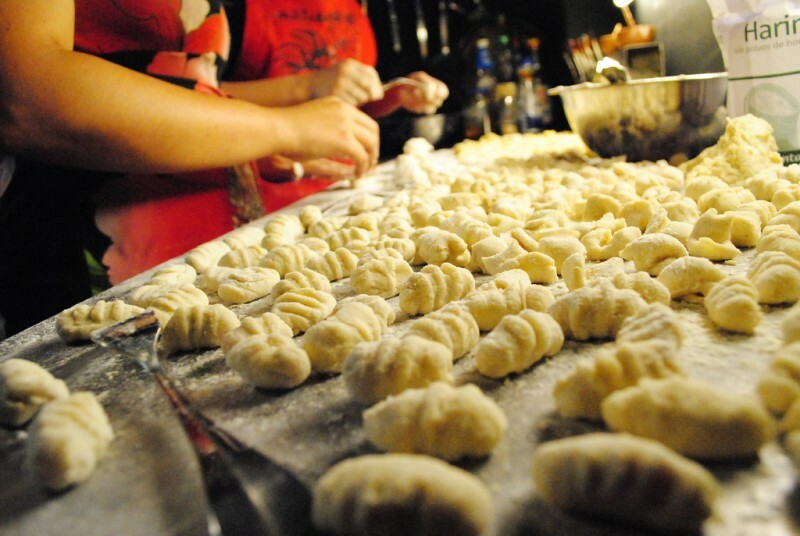 In Argentina, Paraguay and Uruguay, eating gnocchi on the 29th of every month is a popular tradition. No one knows for sure where or how this custom came about, but many bloggers have dedicated posts to the culinary habit and published recipes explaining how to make gnocchi. 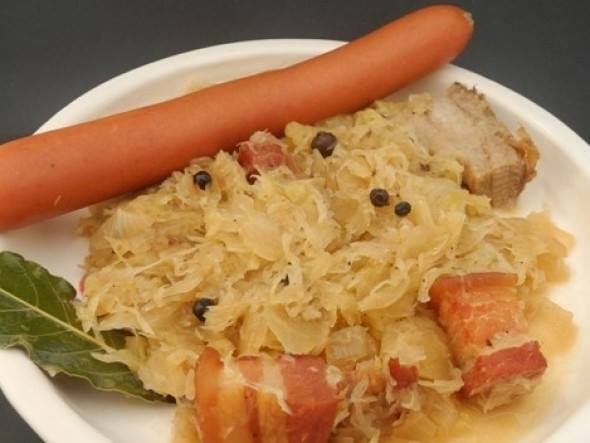 La tradición de servir ñoquis los dias 29 nace de una leyenda que se remonta al siglo VIII. Vivía entonces en Nicosia (Asia Mayor) un joven médico llamado Pantaleón, quien, tras convertirse al cristianismo, peregrina por el norte de Italia. Allí practicó milagrosas curaciones por las que fue canonizado. Cierta ocasión en que pedía pan a unos campesinos , estos lo invitaron a compartir su pobre mesa. Agradecido, les anuncia un año de pesca y cosechas excelentes. La profecía se cumplía y otros muchos milagros. San Pantaleón fue consagrado -a la par de San Marcos- patrono de Venecia. Aquel episodio ocurría un 29, por tal razón se recuerda ese día con una comida sencilla representada por los ñoquis. El ritual que lo acompaña de poner dinero bajo el plato simboliza el deseo de nuevas dádivas. The tradition of serving gnocchi on the 29th of each month comes from a legend dating back to the 8th century. Back then, in Nicosia (Greater Asia) a young doctor named Pantaleon, who went on a pilgrimage through northern Italy after converting to Christianity. There, he performed miraculous healings for which he was canonized. Once, when he asked peasants for bread, they invited him to share their humble table. Grateful, Pantaleon declared they would have a year of excellent harvest and lots of fishing. The prophecy was fulfilled and many other miracles. Saint Pantaleon was consecrated – along with Saint Marcos – as the patron of Venice. That episode occurred on a 29th, therefore that day is remembered with simple food such as gnocchi. The accompanying ritual of putting money under the plate symbolizes the desire for new gifts. In Italy, during the war in Europe, food was scarce. The government would give out bonds to exchange for food in the market. Larger families had serious difficulties getting food and making it to the end of the month. Solidarity was born among people and neighbors invited larger families to eat gnocchi (which was always considered food for the poor). Under each plate, people would put a bond and this gift allowed these families to exchange the bond for food and to make it to the end of the month. Hay otra historia que cuenta que hacia 1690, en un pueblo de Piamonte, se perdió la cosecha de trigo. Si bien la papa sólo la usaban para alimentar a los animales, era tan grande la miseria que la cocinaron, la mezclaron con harina y dieron origen a los ñoquis. There is another story going back to year 1690 in a small town from Piamonte, where the wheat crop had been spoiled. Even though potatoes were used to feed the animals, misery was so rampant that [potatoes] were cooked for eating and mixed with flour, and that is how gnocchi originated. [...] se suelen comer los días 29 de cada mes, y por lo visto el origen (de esta versión, pues hay varias) es, que por ser uno de los últimos días del mes, las personas que tenían pocos recursos y cobraban a primero de mes, tenían que ingeniárselas para comer con alimentos hechos con materia prima barata. Y claro, ya sabemos que la papa y la harina, no son excesivamente caros. Y aunque la tradición es antigua, creo que por desgracia, es extrapolable en el tiempo, y totalmente actual con las circunstancias que nos ha tocado vivir. [...] gnocchi is usually a meal for the 29th of each month, and so it seems that its origin (at least this version, there are many others) is because it is the end of the month and people have less resources and get paid at the beginning of the next month. So they have to be creative to make it to the end of the month by using less expensive ingredients. Potatoes and flour are not expensive. Even though the tradition is very old, it can be extrapolated over time and fit in perfectly with the circumstances in which we are living now. But this tradition goes beyond meals. In Argentina, “gnocchi” is a nickname for public employees and those who do not go to work but still appear every 29th to get their paycheck. Legend or tradition, this custom continues to stand the test of time in the southern hemisphere. If you do not know how to make them yet, take a look at another recipe from the blog From Argentina With Love [en]. 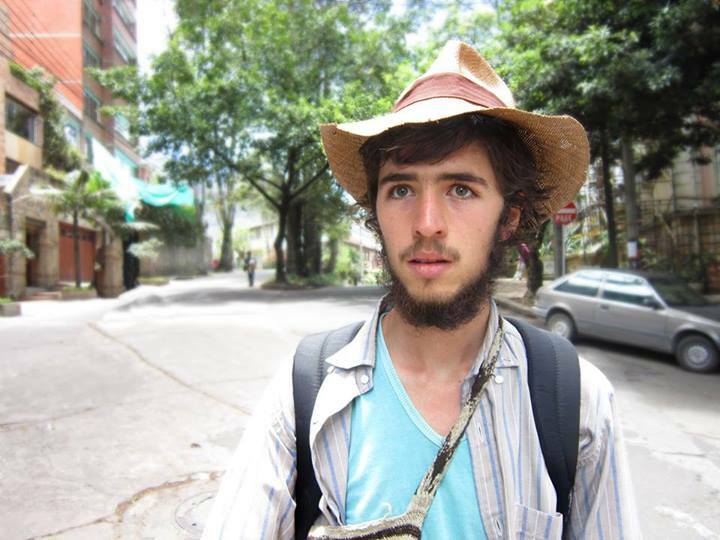 Facebook in Guarani: What is Facebook Doing in Paraguay? Image from Shutterstock. Copyright: 1000 Words. On December 3 in the former train station of Asunción, Facebook, the social network with 1.2 billion users, launched a Guarani language interface. The translation itself was carried out in conjunction with the Secretary of Linguistic Policies of Paraguay (Guarani is a native language that is spoken currently in the country and is the second official language, after Spanish). Furthermore, with the objective to connect the whole country, a limited time promotion was launched that lets one access the social network for free from any cell phone. It is the first official move of the gigantic start-up in our country and it comes to our attention: What is Facebook looking for in a market of only 6.9 million inhabitants? Is it your first time in Paraguay? Uy no, es la quinta vez que vengo por este proyecto. Estoy muy emocionada con él. Ah no, it's the fifth time that I've come for this project. I'm very excited about it. 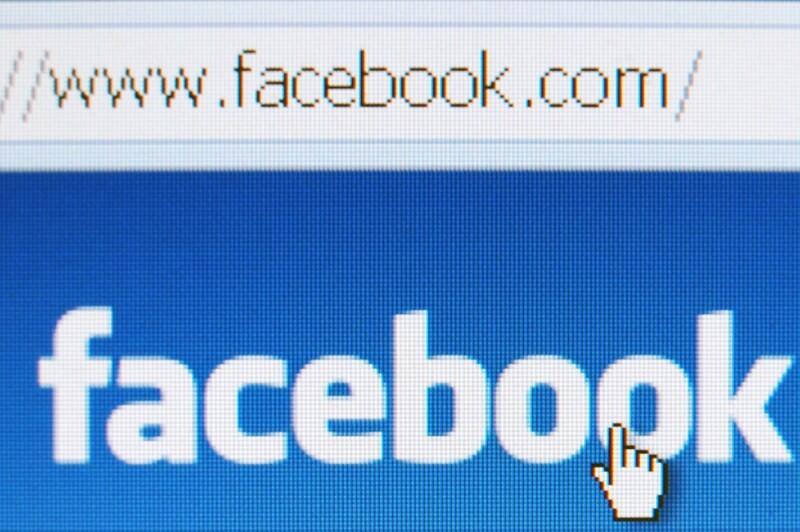 How has the growth of Facebook in Latin America been in recent years? El crecimiento ha sido vertiginoso pero natural. Los latinonamericanos son sociales por naturaleza. Creo que los latinos han encontrado en Facebook una herramienta para expresarse mas allá de sus fronteras. Y si a eso añades, que Latinoamerica es “móvil por naturaleza” con una penetración de internet tan alta a través de teléfonos móviles, tienes que este gran crecimiento es algo casi lógico. Growth has been staggering but natural. 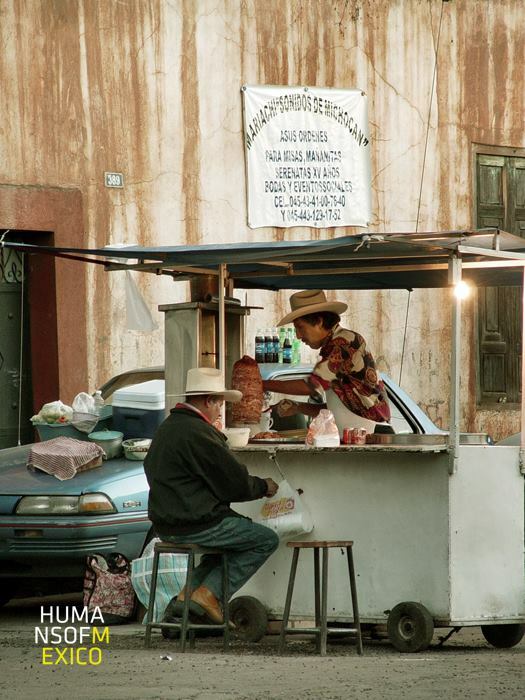 Latin Americans are social by nature. I think that Latinos have found in Facebook a tool to express themselves far beyond their borders. And if you consider that Latin America is “mobile by nature” with such a high level of internet penetration on mobile telephones, you will understand that this large growth is almost somewhat logical. Creemos en que la conectividad y el acceso a internet es un derecho fundamental para acceder a contenido pero también para mantener relaciones humanas. Nos encantaría conectar a todo el mundo y por eso este proyecto nos emociona tanto. Paraguay es el primer país en el que lo estamos probando. We believe that connectivity and access to the internet is a fundamental right, in order to access content but also to maintain human relationships. We would love to connect the whole world and therefore this project really excites us. Paraguay is the first country in which we are trying it. At this time, do campaigns or similar projects exist in other countries? No te lo puedo adelantar, pero tan grande como éste, solo en Paraguay por el momento. I can't divulge completely, but as big as this, only in Paraguay at the moment. Where did the idea to launch a Guarani interface come from? Cuando empezamos a conversar sobre este proyecto surgió la premisa de que “si vamos a conectar a todos los paraguayos, lo tenemos que hacer en su idioma”. Y así nació el proyecto. 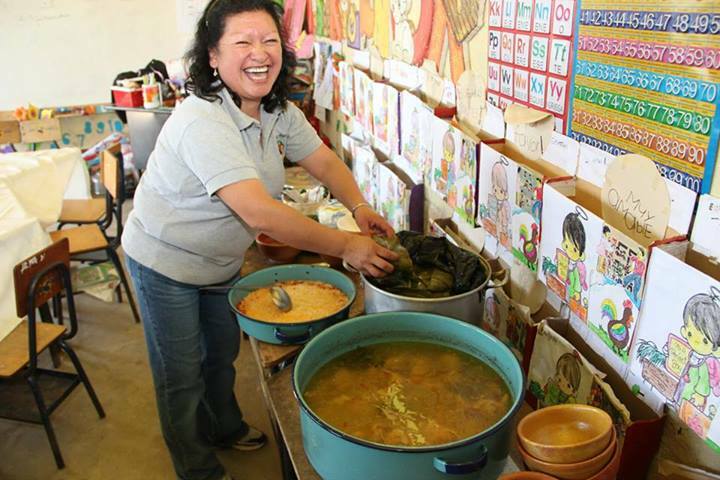 When we started to discuss this project it became clear that “if we're going to connect all Paraguayans, we have to do it in their language”. And so the project started. How many more users do you think you will attract with this campaign? A todos. 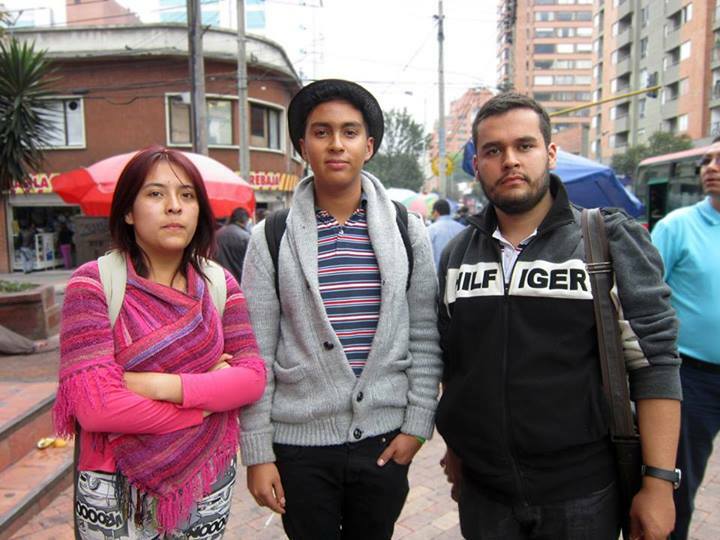 Queremos que todos los paraguayos mayores de 13 años tengan acceso a internet y sean usuarios de Facebook. Everyone. We want all Paraguayans older than 13 to have access to the internet and to be users of Facebook. How will you ensure that populations without telephones can access Facebook? La idea es que con cualquier teléfono básico (sea más o menos smart) puedan aprovechar de esta campaña para tener Facebook gratis en todo el país. De todos modos, sé que se está trabajando en campañas especiales para que estos teléfonos sean mas accesibles y con una buena financiación. The idea is that with any basic telephone (whether or not it's smart), they can take advantage of this campaign to have Facebook, free, throughout the whole country. At any rate, I know that there is work being done in special campaigns so that those telephones are more accessible and well-funded. After the talk, Laura Gonzalez expressed the interest and willingness of Facebook to continue supporting access to the internet and thus to culture by utilizing these tools in our country. Could it be an effective solution to close the digital divide? What do you think? Article originally published in the blog Hallucina [es]. -”I think that love is everything, it makes up everything that surrounds us and I'd say that my favorite way to love is…breathing”. 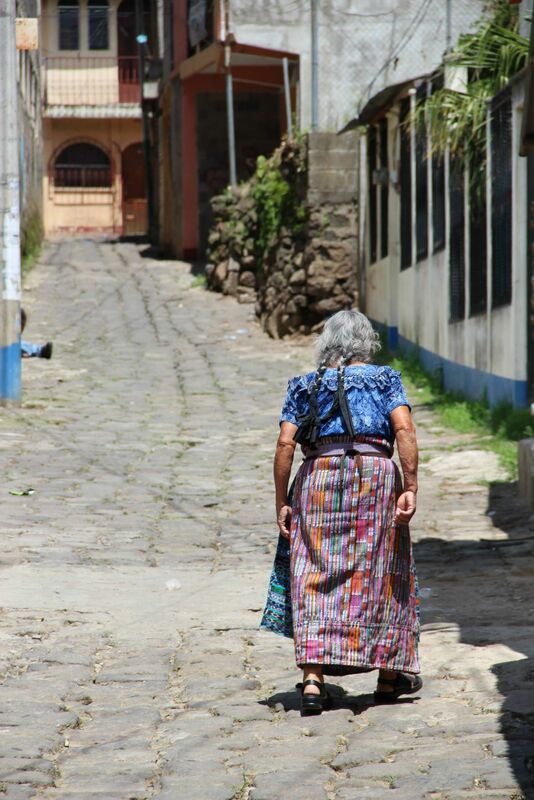 Photo from Desarrollando América Latina Facebook page. Bolivia's [es] envisioning meeting took place a few weeks ago and they were also preparing for Demo Day. And although the organizers have not been very active on social networks, [es] they have been virtually supporting participants. Tired of your work being a machine? In Chile, preparations for the close of a successful day. #DAL2013 participants creating real solutions! We share the Dynamic Management workshop at #DAL2013. Don't forget Oct. 26 is the end. The day has arrived! #DAL2013 in Paraguay is a reality! Thanks to all for the support and effort, now all that remains is…. In Paraguay #DAL2013 is not over! The teams continue developing! There is still enthusiasm and will for @dalparaguay. The second day of #DAL2013 has been amazing! In Uruguay, the expedition is in development. The data is an unknown universe! This goes to show that anybody can participate in a hackathon! And Brazil [es] is fulfilling its schedule of activities with a view towards Demo Day on this October 26. The schedule of activities for the Brazilian edition of #DAL2013 has been published. Check it out, share it, and sign up! This is #DAL2013 Brazil. Tomorrow 10 other countries have their turn. We are on the third day of #DAL2013. Developers energetically brewing up ideas! What's cool about #DAL2013 is the interest generated by developers to create social solutions, hopefully it will be a success! Este 26 de octubre en nuestro Demo Day podrás conocer los resultados de #DAL2013 ¡Permanece atento para más detalles! This October 26 at our Demo Day you can find out the results of #DAL2013. Stay tuned for more details! 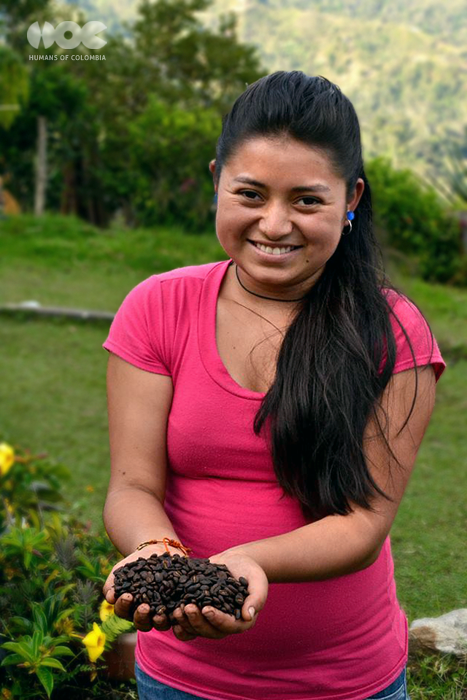 We will soon bring you more updates about this year's Developing Latin America. Impulsamos aplicaciones innovadoras, sustentables, escalables y de alto impacto social. Celebramos a la comunidad de emprendedores, tecnólogos, desarrolladores y diseñadores, desafiándolos a trabajar en conjunto con sus gobiernos y organizaciones locales para co-crear soluciones que generen un cambio positivo para los ciudadanos. Fomentamos una cultura de creatividad, innovación y emprendimiento en América Latina. We promote innovative, sustainable, and scalable applications with a high social impact. We celebrate the community of entrepreneurs, technologists, developers and designers, challenging them to work together with their governments and local organizations to co-create solutions that generate a positive change for citizens. We foster a culture of creativity, innovation, and entrepreneurship in Latin America. 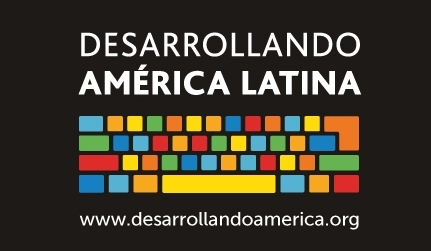 For its third edition, Developing Latin America (DAL) is transforming and is going from being a Hackathon to what they call an Apps Challenge, meaning a longer event with the goal of developing better ideas, obtaining more concrete solutions, and, as such, achieving applications that are more sustainable and scalable. Un Apps Challenge es una competencia entre aplicaciones. En el caso de DAL, es una competencia colaborativa que se realizará a lo largo de tres intensas semanas de desarrollo. Esta etapa está diseñada para dotar a los equipos de las herramientas que permitan desarrollar una aplicación innovadora y disruptiva. Realizaremos varias actividades con el objetivo de generar aplicaciones de alto impacto social. An Apps Challenge is a competition between applications. In the case of DAL, it is a collaborative competition that will be held over the course of three intense weeks of development. This stage is designed to give teams the tools that will allow for the development of an innovative and disruptive application. Various activities will take place with the goal of generating applications of high social impact. DAL officially launches on October 5 of this year, and we say officially because in reality the coordination of DAL and the different teams in charge of the event in the participating countries (now 12) have been working on preparing for it for several weeks. In fact, each team has planned various activities [es] to take place in their country during the month of October and, on October 26, there will be a Demo Day in addition to the selection of the three best applications per country. Co-creación “en terreno” con sus potenciales usuarios y clientes. Definición de áreas de impacto que el proyecto tendrá en la sociedad, estos son co-creados con la comunidad y usuarios en trabajos en terreno. Búsqueda de financiamiento para la sustentabilidad de sus proyectos a través de distintos medios: inversionistas, crowdfundings, fondos concursables, entre otros. Generación de redes con distintos actores relevantes para el proyecto. Planes comunicacionales y financieros elaborados. Co-creation “in the field” with their potential users and clients. Definition of areas of impact that the project will have in society, these are co-created with the community and users in field work. Finding funds for sustainability of their projects through various means: investors, crowd funding, competitive funds, among others. Generating networks with various stakeholders relevant to the project. Elaborating communication and financial plans. In the interview, Matioc expanded on DAL's decision to go from a Hackathon, typically 36 hours, to an Apps Challenge, which will span a period of three weeks. As a response to DAL's growth over the past two years, Matioc highlighted the desire to have participants go beyond making prototypes for applications by giving them the opportunity to create more efficient and finished apps for social change. With the Apps Challenge, which she described as an “extended hackathon”, each of the twelve participating countries will have its own agenda of activities and workshops, culminating in the Demo Day and Socialab nominations. Currently, DAL is continuing its preparations for the event and meeting with its stakeholders to discuss their roles as mentors for each team of participants. Este tipo de programas son ideales para impulsar pequeñas startups que pretenden resolver problemas comunes de la región. Lo interesante es que las aplicaciones pueden estar enfocadas tanto en solucionar un problema de tu país como hasta solucionar uno de Latinoamérica en su totalidad. Un reflejo de que podemos y queremos cambiar el mundo en el que vivimos, aunque tengamos que hacerlo una aplicación a la vez. These types of programs are ideal for inspiring small startups seeking to resolve common problems in the region. The interesting thing is that the applications can be focused on solving a problem in your country as well as solving one in Latin America as a whole. A reflection on the idea that we can and want to change the world we live in, even if we have to do it one application at a time. Sin duda, un gran reto para países en los que no todos tienen un smartphone o una tableta, aún así se trata de un gran esfuerzo que bien podría ayudar a mejorar las condiciones de vida en la región. Without a doubt, a big challenge for countries where not everyone has a smartphone or tablet; still, it is a great initiative that could really help improve living conditions in the region. If you are a developer and are interested not only in a professional challenge but simultaneously having the opportunity to help solve social problems in your city or country, such as education, health, public safety, and transportation, among others, you can sign up [es] until October 4 and participate in this event on a regional level. On our behalf, we will be providing coverage of the details of this great initiative. Developing Latin America Draws Near! This year, Wikipedia in Spanish reached one million articles and released a basic user guide in Guaraní. The idea is to revive the Guaraní-speaking community in this great platform. So far there are only 20 articles in that language. If you are interested in collaborating with this project, download the wikipedia in Guaraní guide and join the community Vikipetã ! Maricarmen Sequera writes about Wikipedia in Guaraní in the blog Hallucina [es]. Horacio Cartes [es], businessman and former manager of the Libertad football club, assumed presidential authority in Paraguay before the eyes of presidents of foreign countries and other international authorities, former representatives and even international football team owners. The photolog from the Hoy news site published [es] photos of the presidential handover ceremony taken by known bloggers and photographers Tetsu Espósito [es] and Elton Nuñez [es]. Cartes had never served in a political position. In fact, he exercised his right to vote for the first time in the last elections on April 21. In those elections, he ended up winning by a margin of almost 10 points in difference with respect to the second force formed by an alliance between the Liberal Party and other models and minority parties. Cartes's party, the National Republican Association-Colorado Party, received 45.83%, of the vote; while the Paraguay Alegre Party got 36.92%, according to the official results from the Electoral Justice. To become a presidential candidate with the potential to win an election without any political experience, Cartes chose one of the two traditional parties with the most force and members (1,989,416 members according to the Electoral Justice registry [es]). Nevertheless, by not being colorado, he had to force the modification of the very statutes of the party that obliged him to have been a member for at least 10 years before being able to enter into pre-candidacy, managing to lower it to just one year. Photo shared by Horacio Cartes's official Facebook page. This was one of the most mentioned phrases on Twitter during the new government's opening speech. A speech so eloquent and perfectly outlined that its authorship was questioned, and whether it was read or memorized, given that Cartes did not demonstrate particularly gifted rhetoric during the campaign. Quite on the contrary, he showed great difficulties in expressing himself correctly. Es la primera vez en 20 años de hacer periodismo que un discurso de asunción presidencial me entusiasma. It is the first time in my 20 years of journalism that an presidential inauguration speech excited me. The members of the cabinet that Cartes chose was another surprise. It is common for colorado presidents (Cartes is the seventh since the fall of General Alfredo Strossner's dictatorship) to name fellow party members and politicians as members of their cabinet. Nonetheless, Cartes mainly chose men and women with no political background though their work was recognized in the private sector or in their areas of experience. Here [es] is a complete list of the new cabinet. This was not taken well by the party leadership, and colorado members even booed during the swearing in of the other party ministers, such as the new Interior Minister, Francisco de Vargas. 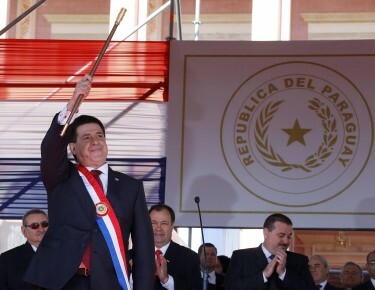 The Paraguay population was very excited about the new government, noted in the remarks made on Facebook and Twitter. Many Paraguayans used hashtags #UnNuevoRumbo (A new direction), which the new president's communications team proposed through their space on Facebook [es], making an allusion to his campaign motto, and #traspasodemandopy (. Ya es 16… ya paso el 15.. nuevas esperanzas.. #UnnuevoRumbo.. le tengo fe a @Horacio_Cartes …..
Now it is the 16… the 15 has already passed.. new hopes.. #UnnuevoRumbo.. I have faith in you @Horacio_Cartes …..
A group of demonstrators congregated at the acceptance ceremony disguised as Federico Franco (president for nine months following the removal of Fernando Lugo) and his wife, with posters and banners calling him a coup leader and a thief. With the acceptance of leadership comes the end of the political and diplomatic impasse that Paraguay entered into on June 22, 2012 with the impeachment that ousted elected bishop Fernando Lugo [es] and suspended the country from Mercosur. Video ad for small neighborhood market in Asunción, Paraguay. Click on image to visit site with video. 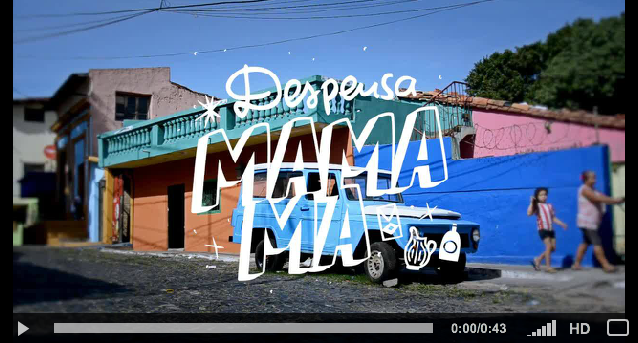 The campaign ‘Volvé al barrio’ (Return to the neighborhood) promotes small businesses in the Loma San Jerónimo neighborhood in Asunción, Paraguay's capital, with video ads where the neighborhood's residents tell viewers about their shops and small businesses. 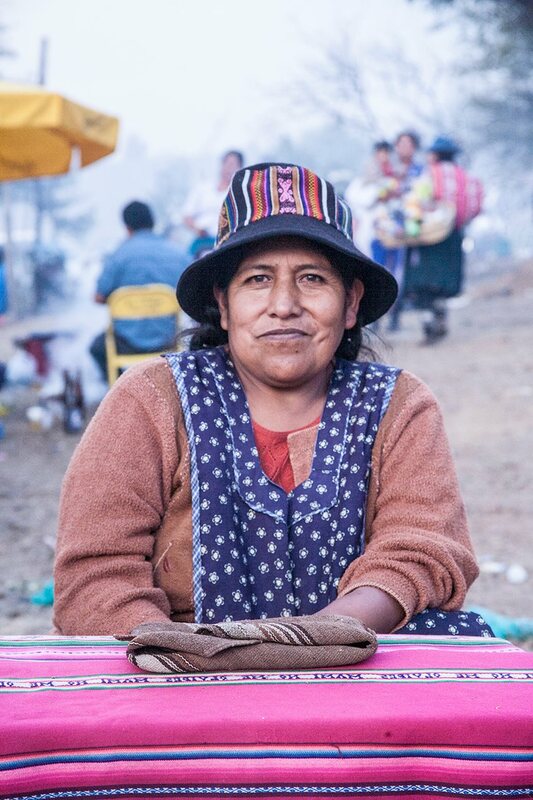 In the blog Hallucina [es], Global Voices contributor Gabriela Galilea shares three of these videos featuring a barbershop, a small neighborhood market, and a shoe shop. A week before the start of his constitutional mandate, Paraguay's president-elect Horacio Cartes [en]—voted in at the end of April of this year—is facing a predicament that will no doubt leave its mark on the political agenda and in the annals of public opinion: the public transit dispute. After much coming and going on the subject of projects presented to solve the deficiencies of the public transportation system, a strike of the main bus lines began on Tuesday, August 6. The bus stoppage left some 700,000 transit users bereft of their main mode of transport. 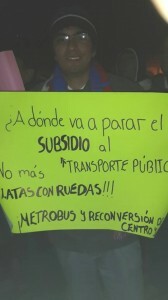 The conflict started with a claim by CETRAPAM, the centre for metropolitan transit business owners, for failure to pay the subsidy that the Paraguayan government gives to private businesses that provide public transportation, as the organization's leader, César Ruiz Díaz, explained to ABC Color, one of the country's primary media outlets. For its part, the government declared the pressure tactic illegal and tried to negotiate with CETRAPAM to avoid a strike but did not succeed. Despite the state subsidy, Paraguay's public transit service is inadequate and unreliable. According to the metropolitan public transit department, (Setama), only a few buses are actually authorized to operate legally. “933 buses have stickers [which authorize them to operate], out of a total of 2,100 units registered as serviceable”, as reported in the daily newspaper Ultima Hora in April of this year. 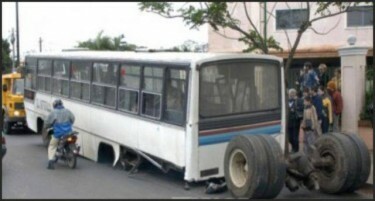 The photographs below reveal the dilapidated condition of the vehicles circulating in the streets of Paraguayan cities; they are old, refurbished and often lack official authorization from regulatory bodies. 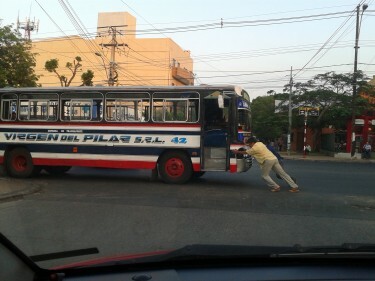 Photo taken by Jorge Baez in a street in San Lorenzo; the bus's rear axle came off for no apparent reason causing havoc. Photo taken by Natalia Rovira on Avenida República Argentina in the city of Asunción. The following clip from the program Algo Anda Mal, broadcast every Tuesday by one of the main television stations, shows the situation faced by commuters forced to use public transportation: bad service, inadequate routes, and serious concerns about their safety. Not surprisingly, a protest was called in response to the demands by the owners of transport companies for Wednesday, August 7, at 6:30 pm in front of the Panteón de los Héroes, located on the emblematic Palma street in the centre of Asunción. The call to action by local resident Paulo Cabello can be seen on Facebook. “This is how you want a subsidy? 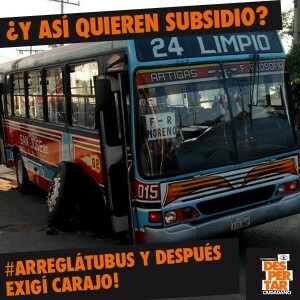 Fix your bus and them make your demands!” Flyer published by the Despertar Ciudadano initiative in rebuttal to the transportation providers. 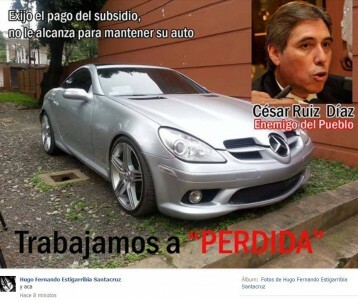 In this flyer, there is a ironic claim on behalf of César Ruiz Díaz, head of CETRAPAM, who drives a Mercedes Benz convertible while at the same time complains that the transportation businesses he represents are operating at a loss. Thousands of residents of Asunción and those living in the suburbs, who rely on public transit to commute to their jobs in the capital, were forced to look for alternate modes of locomotion, in response to which the government put vehicles from the Armed Forces and other public institutions at their disposal. 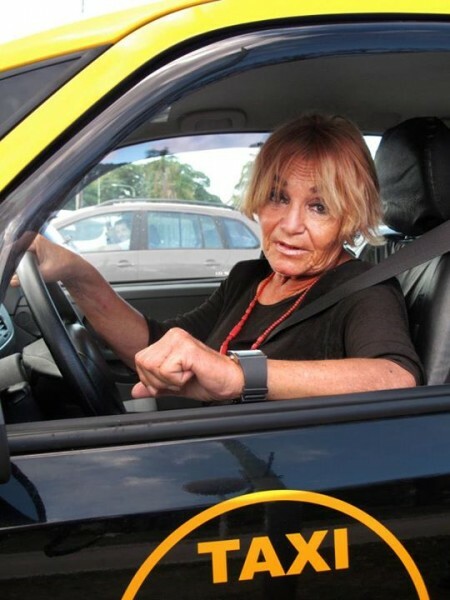 Another alternative that showed a spike in usage was the carpooling initiative called Viadedo [thumbing it] set up by young Paraguayan entrepreneurs. Using this website, anybody in a car can share their route with people who are willing to take a trip by making a voluntary contribution to the driver, who in return offers a place in their car to pedestrians in need. 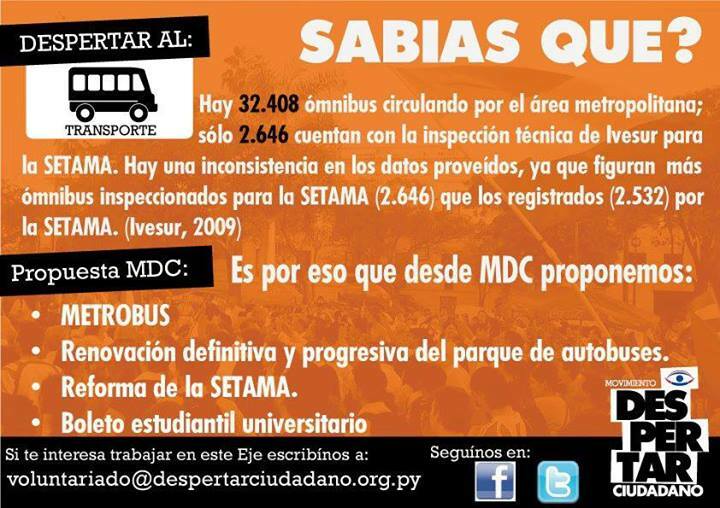 Metrobús is a controversial project presented to the Congress in an attempt to solve the public transportation problem in Paraguay. It is co-sponsored by the Ministry of Public works and the municipalities of Asunción, San Lorenzo y Fernando de la Mora. Metrobús consists of a system of rapid transit buses [en] planned for the Asunción metropolitan area and similar to that used in Bogotá, Colombia, according to a description in Wikipedia. The project implies that the Paraguayan government would invest some 125 million dollars and would need a loan to cover the costs. Both chambers have examined and postponed the project several times. The last postponement on 31 July was specially requested by President-elect Horacio Cartes. 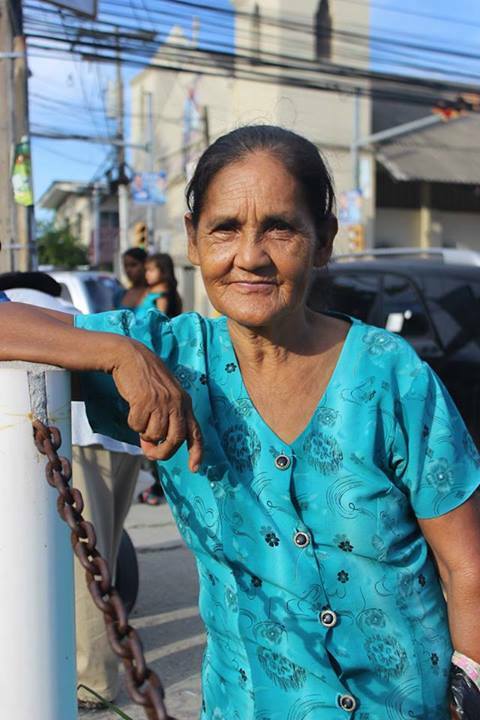 Update: at 5:30 pm, on Tuesday, August 6, the strike was lifted for 48 hours after the government promised to honour the entire subsidy owed on Friday, August 9, according to information given by César Ruiz Díaz to local media. Meanwhile, the mobilization planned for August 7 in front of the Panteón de los Héroes has been relocated and will be held instead in front of the offices of CETRAPAM. Around 3000 people [es] took to the streets in Paraguay's capital to make their voices heard against Parliament, following the trend of protests in Brazil these last few weeks. The protest in Asunción bore two fundamental complaints. Firstly, citizens demonstrated their disapproval at the presentation of a bill that, as was presented in the beginning, lowered the minimum required retirement age for Parliamentarians by 10 years from 15 for 100% of their salary; that which is in the region of 40 million Guarani monthly (some US$ 8,500 approximately). After the protest, some Parliamentarians stated that it was really about a bill presented by lawmakers that would not be returning to occupy seats in the next term commencing in August of this year. According to the daily paper Ultima Hora [es], “with the amendment of the law in those provisions, [members of parliament] sought legislation for their own benefit, since with those modifications they would not have to turn 55 years in order to retire”. 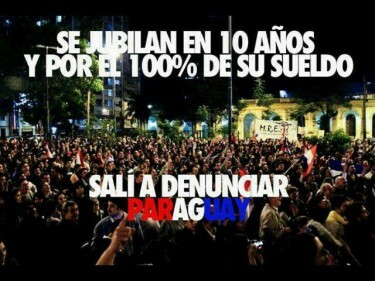 The image that appeared published in the fan page of Anonymous Paraguay in Facebook. The second complaint is related the postponement [es] of the credit approval for the implementation of the metrobus, a new type of public transport that promises to improve the precarious conditions that are found in the current service. At 7pm on Friday, June 21, an “open mic” was set up on a roundabout in the Plaza de Armas [main square] in front of the National Congress, where those citizens brought together could express their discontent and channel their complaints. In just a few minutes, some 50 people formed a line in order to express their complaints in front of a large crowd. The most frequent complaints that were made echoed the popular discontent with the attitude of those MPs that increased their own salaries and privileges and believe they are of “their own special breed”, as a citizen denounced. These are some of the phrases that sparked a standing ovation from the crowd and echoed in social media networks: “There are 1,500,000 Paraguayans that don't know what they are going to eat tomorrow, and they [MPs] buy gold pins and retire in 10 years for 40 million [Guarani]“, “Paraguay has woken up”, “Many young people are spat out by the system”, “They are called honourable by the law (referring to a law that was introduced obliging citizens to refer to MPs as “honourable”) and they don't represent us”, “What happened in Curuguaty?” (with respect to the massacre that left 17 dead after a police raid in the north of the country), “Where is Fonacide?” (Fondo Nacional de Inversión Pública y Desarrollo [National Fund of Public Investment and Development] created in 2012 with money that Paraguay obtained after adjusting the price of surplus energy from the Itaipú hydroelectric dam sold to Brazil). 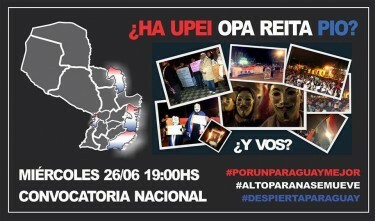 The ‘open mic’ is already an emblem of the self-summoned citizen protests in Paraguay, those which started in 2012 with the name “After Office Revolutionary” [es] and which succeeded in stopping a multimillion budgetary increase for the contracting of political operators. 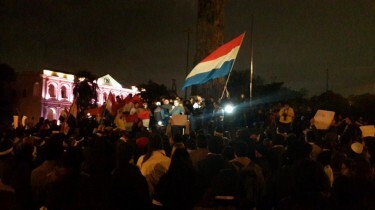 A year after the political trial that removed Fernando Lugo from the presidency, the Paraguayans took to the streets once again leaving their political parties and ideologies to one side in order to “mark the parliamentary agenda”, as one citizen expressed during the open mic session. The open mic citizen presentations lasted about two and a half hours, until 21:30, when a group of protesters chose to march towards the Panteón de los Héroes [Mausoleum Monument of the Heroes], which caused a moments tension and the deployment of the armed national police, although no incidents were registered. 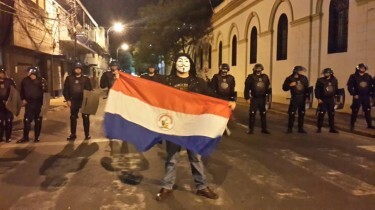 Other Paraguayan cities also came together and took to the streets to make their voices heard, like in Ciudad del Este and Encarnación, the second and third most important cities following the capital, Asunción. This promises to be one of many protests that will follow the example of neighbouring Brazil, and which will be convened through social networks, according to that expressed by citizens upon closing the open mic session. The effects of the protest did not take long in making themselves felt, as ABC Color [es] reported: “The President of the House of Representatives, Víctor Bogado (ANR [Colorado party]), assured yesterday that the bill to modify and reduce to 10 years the legislator's pension contribution will be rejected by the House”. However, the national press has not placed much prominence on the protests in comparison to international media, such as Folha de Sao Paulo [pt] or BBC Mundo, [es] which have observed the protest with extensive coverage and images. The Twitter account @xunpymejor has been set up in order to notify citizens of new events, share images and keep protesters informed. The account will serve as a fundamental medium of communication for the citizen-led organisations and the protesters of this movement that hope “to mark the parliamentary agenda of the new parliament that will take office in August” and have their complaints resolved effectively. A year after the clash that resulted in the death of 11 farm workers and 6 police officers in Curuguaty, Paraguay, organizations that defend human rights and farm workers point out that the criminal case investigating the incidents is partial and that there were several human rights violations during proceedings, such as executions and subjecting farm workers to torture as acts of revenge. They suggest that the evidence to support the accusation of 14 farm workers by criminal association, invasion of property, and homicide is insufficient and in some cases “prohibited,” according to the Paraguayan Criminal Procedural Code. The defense and defendants themselves continue claiming that the snipers that infiltrated the campsite were those ones who initiated the fire, which led to the deaths of the first police officers, who were unarmed. A complete report from the PEICC (Platform for the Study and Research of Farm Worker Conflicts) can be downloaded on Scribd [es]. The report will be used as the basis for the defense of some of the farm workers during criminal proceedings and mentions comprehensive details of the massacre in addition to everything that occurred subsequently. 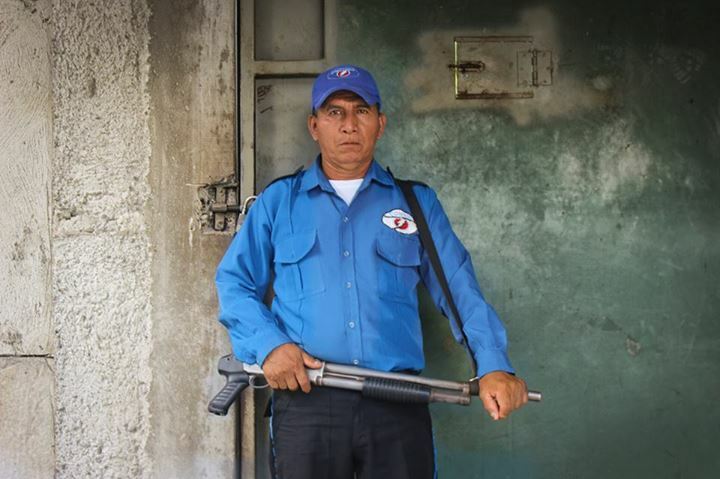 On June 15, 2012, Curuguaty, a city located in the Canindeyú department almost in the center of the Republic of Paraguay, was the protagonist in a clash between the police and farm workers following an eviction proceeding. Since January 18, 2012, close to 50 people found themselves occupying lands known as Marina Cue (a phrase in guaraní that refers to the lands that “were of the navy” due to the fact that the navy used them for some time after being donated to the Paraguayan government). The property of these lands to this day remains the focus of litigation between Campos Morombí S.A. (a company belonging to the politician Blas N. Riquelme) and the Paraguayan government. 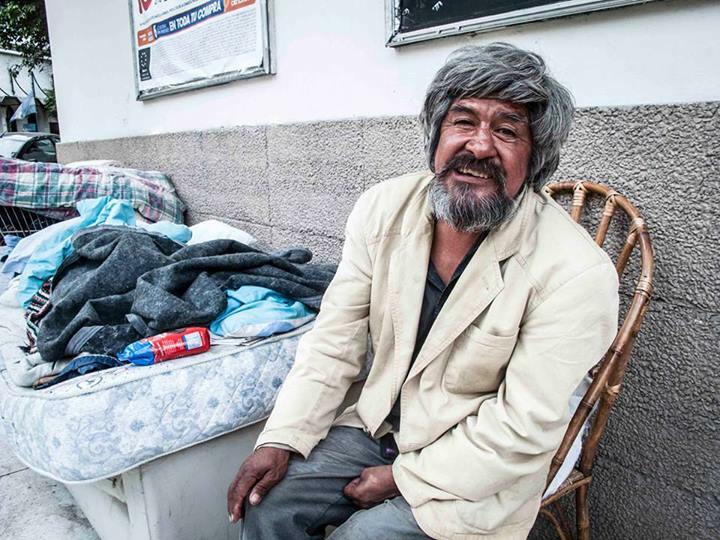 The eviction [es] sparked political destabilization throughout the entire country, which led to the impeachment of President Fernando Lugo, a former bishop elected president in 2008. The impeachment trial that was carried out in 24 marathon hours and one that some sectors within as well as outside the country categorized as a “parliamentary coup,” resulted in a temporary suspension of Paraguay from the Mercosur bloc, among other international policy implications. Another shortcoming involved in the defense of the detained farm workers and the sectors that support them is the inexistence of “invasion of foreign property” as a crime, which they were accused of since these lands are found under litigation and their ownership is still being disputed in court, as previously mentioned. Nonetheless, prosecutor Jalil Rachid assures that he has sufficient evidence to prove at trial that the farm workers who were on these lands came planning the clash beforehand and that it was not a random episode. In this documentary, filmed by Daniela Candia [es], a summary of the legal situation of the lands in dispute can be seen along with testimonies from families and farmers involved in the occupation and killing. Today the 14 farm workers find themselves deprived of their freedom as a precautionary measure and are awaiting the first trial hearing, which was suspended a second time this week by the judge on the case, Janine Rìos. The judge sustained that the cause for suspension is that “the time periods from which the Court of Appeals rejected the request for pre-trial, where it should have been resolved if the lands belong to the State or Campos Morombi, were not respected,” as official daily Ultima Hora [es] reports in its online edition. Last Friday, June 14, in commemoration of the first year since the tragedy, residents, human rights defenders, and artists united to pay tribute [es] to the deceased and demand justice. Numerous actions were carried out, ranging from commemorative acts where the incidents took place to various documentaries that appeared on digital platforms with testimonies from families, witnesses, and the accused farm workers today. Additionally, important artists from the local scene gave their support through a short film directed by Sandra Kukú Flecha circulating on the Internet since Saturday, June 15, that was released in honor of the anniversary of the confrontation. In the short, filmmakers, actors, singers, and dancers give their points of view with respect to what they believe really happened, and the feelings this dark episode in Paraguayan history produced for them as citizens as well as the consequences they expect immediately and in the future. Spontaneous interventions in the streets, painted murals, parades and the inevitable posts on the timelines of those who support the campaign entitled “What happened in Curuguaty?” [es] has already become an emblem of those who seek to attain clarification on the facts of what truly happened that June 15. What really happened in Curuguaty? Were there infiltrators? Did the farm workers receive military guerrilla instructions? Was it all planned? Was the impeachment part of the plan or just a consequence? Will we know someday? If you want to know more about this case and the campaigns that support the uncovering of the truth as well as respect for human rights, visit quepasoencuruguaty.org/ [es]. From the Patagonia to Havana, hundreds of computer users across Latin America are choosing freedom over control by installing free software on their computers. 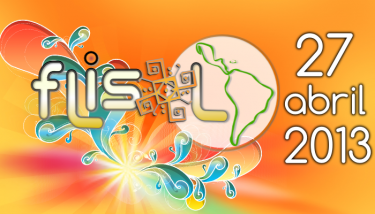 On April 27th, groups of free software enthusiasts will be installing free software in dozens of cities across Latin America as part of FLISOL [es], the Latin American free software installation festival. Horacio Cartes is Paraguay's new president, winning 46% against Efrain Alegre's 37%. Cartes faces major issues from the past: the legacy of Colorado Party rule, the ongoing challenges related to Lugo's impeachment and removal from regional groups, and questions about his own background. Boz from Bloggings by boz lists five points on Paraguay's new president. The children of Cateura, a slum outside Asunción, Paraguay, live surrounded by trash. In a place where a violin costs more than a house, musician Fabio Chavez is transforming children's lives by teaching them to play music with instruments made out of trash. Now, one filmmaking team wants to capture their inspiring story in a documentary and is turning to crowdfunding website Kickstarter to do so. Their goal is to raise $175,000 to complete two main production trips. They plan to complete post-production of the documentary by the end of 2013. At the time this post was published, they had raised more than $21,000 with 44 days to go in the campaign. Cateura, Paraguay is a town essentially built on top of a landfill. 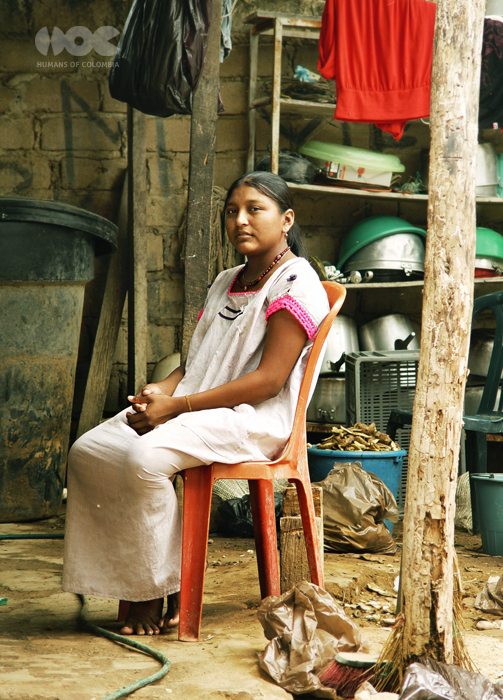 Garbage collectors browse the trash for sellable goods, and children are often at risk of getting involved with drugs and gangs. 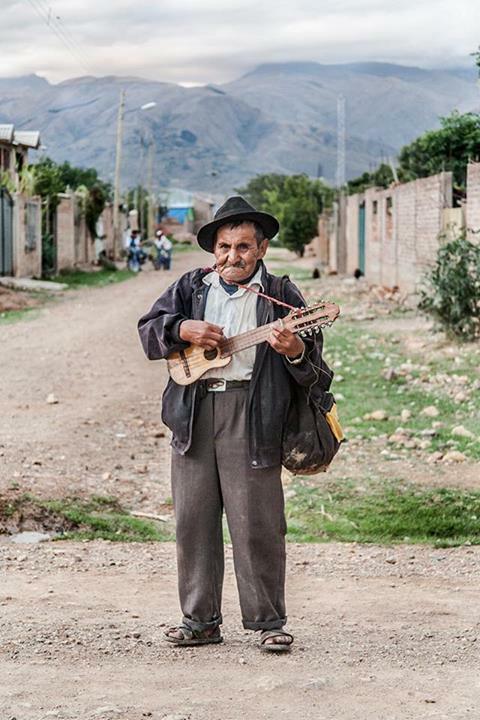 When music teacher Fabio set up a music program for the kids of Cateura, they soon have more students than they have instruments. Exceptional….brought tears to my eyes…we who have so much and who discard so much…this is an example we all need to see and hear! Realmente conmovedor. Y pensar que la gente se queja por tantas estupideces, mientras estos muchachos, sin ningún tipo de posibilidades, tienen la voluntad y el ingenio de crear magia sacando notas celestiales a través de sus rudimentarios instrumentos. Gracias por la lección, aún nos queda mucho por aprender. Truly touching. And to think that people complain about so many stupid things, while these kids, without any type of possibilities, have the will and ingenuity to create magic with celestial musical notes through their rudimentary instruments. Thank you for the lesson, we still have a lot to learn. You can learn more about The Recycled Orchestra on Kickstarter and follow “Landfill Harmonic” on Facebook. 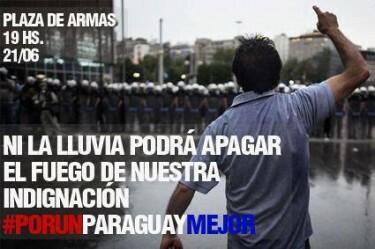 An article published [pt] by Natalia Viana and Jessica Mota on the Agency of Report and Investigative Journalism website notes that “Wikileaks documents reveal that the United States trained hundreds of Paraguayan police and army officers between 2005 and 2010 – among which we can find future military commanders of [incumbent Paraguayan President, Federico] Franco“. The article includes a link to a database [pt], downloadable from its webpage. Lino César Oviedo, Paraguayan retired general and polítician who overthrew dictator Alfredo Stroessner, died on Saturday, February 2, 2013 when the helicopter he was traveling in crashed in northern Asunción. His pilot and his sageguard agent died too. 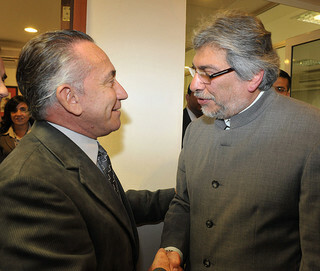 Lino Oviedo and Paraguayan President Fernando Lugo. Pohto taken on 2012, by Flickr user Fernando Lugo Mendez (CC BY-NC-SA 2.0). El helicóptero en el que viajaba Lino César Oviedo fue ubicado hoy (03.02.2013) en una zona rural de Paraguay, al norte de Asunción, con los cuerpos de sus ocupantes “calcinados”, informó la radio 780 am de Asunción. “Una persona del círculo más cercano al entorno del candidato presidencial confirmó la muerte”, dijo esa emisora. The helicopter where Lino César Oviedo was traveling was located today (February 3, 2013) in a rural area in Paraguay, north of Asunción, with the bodies of its passengers “burnt to ashes”, reported Radio 780 am from Asunción. “Someone from the most intimate group of the presidential candidate confirmed his death”, stated the radio station. Oviedo led the National Union of Ethical Citizens (UNACE, by its Spanish name), and was running for president for the general elections to be held on April 21, 2013. This will be the sixth election in the country since the coup that ended up the dictatorship in February 1989. Sin duda, Oviedo jugó un rol importante en el golpe del 2 y 3 de febrero de 1989, [...] pero un momento de valor no convierte a nadie en héroe, menos cuando en vez de valentía lo que probablemente había era temeridad o cuando el momento podría haber reflejado estrictas desavenencias por intereses espurios en el seno del poder dictatorial. El heroísmo implica conductas sostenidas que marcan historias positivas; intentar convertir en héroe a quien no las ha tenido sólo puede sonar a oportunismo de quienes, como aves de rapiña, sobrevuelan sobre los restos… Vergonzoso intento de algunos sectores políticos de quedarse con los votos de Oviedo para el 21 de abril. Without a doubt, Oviedo played an important role in the February 2 and 3, 1989 coup, [...] but a moment of courage doesn't make a hero out of anyone, let alone when instead of courage what was there was probably recklessness, or when the moment could have reflected strict disagreements due to false interests within the dictatorial power. Heroism means sustained conducts that mark positive stories; trying to make a hero out of someone who hasn't had those positive stories may just sound as opportunism by those who, as birds of prey, fly over the remains… Shameful effort of some political sectors to take Oviedo's votes for April 21. El ministro del Interior Carmelo Caballero, en conferencia de prensa en Mburuvicha Roga, anunció la determinación del gobierno de declarar tres días de duelo en las actividades oficiales. Además aseguró que se harán las investigaciones correspondientes para constatar el motivo del accidente del helicóptero Robinson 44 que trasladaba a Oviedo y dos personas más. The Minister of Interior, Carmelo Caballero, on press conference in Mburuvicha Roga, announced the decision of the government of declaring a three-day period of mourning on official activities. Besides that, he claimed investigations will be carried out in order to confirm the causes of the accident of the Robinson 44 helicopter that was transporting Mr Oviedo and two more passengers. Also, Twitter users have been expressing themselves using the microbloggind site. @fatimagaray: Medical team is making all efforts to hand over TODAY remains of victims of air tragedy to their famiies, among them Lino Oviedo. @anahitorto: @fatimagaray para hoy si o si la entrega de loa [sic] restos? @anahitorto: @fatimagaray today, without fail, will they hand over the remains? @KhaosXI: No se sorprendan si en uno de estos nuevos billetes de 200.000 o 500.000 nos encontremos con la cara de Lino Oviedo impresa en uno de ellos. @KhaosXI: Don't be surprised if we see the face of Lino Oviedo printed on one of those 200.000 or 500.000 checknotes. @CALACNN: Mis condolencias a familiares y simpatizantes de #Lino Oviedo, a quien entrevisté hace solo seis días en @CALACNN. Este lunes va al aire. @CALACNN: My sympathy goes to family members and supporters of #Lino Oviedo, I interviewed him just six days ago on @CALACNN. It will be aired on Monday. @FernandaAzuaga: Con lo de la muerte de Lino Oviedo no se juega! @FernandaAzuaga: Don't play with Lino Oviedo's death! Twitter hashtag #LinoOviedo is constantly updated. [...] when the helicopter where he was traveling after a political event crashed on Saturday night, as reported by the local press. Paraguayan rescue workers confirmed having found [es] the helicopter, as well as the three carbonized bodies of its passgeners, at “La Mocha” ranch, located in Presidente Hayes, Paraguayan Chaco. The first hypothesis by the authorities is that the accident was due to weather condicions. 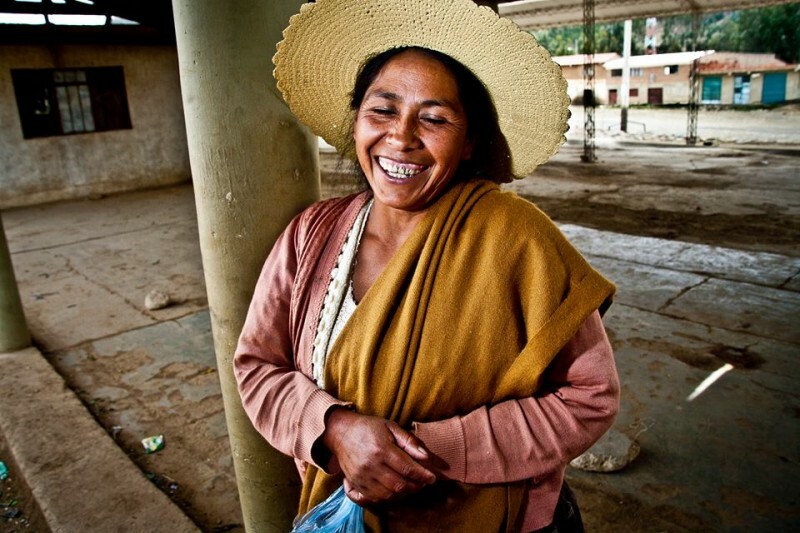 Group blog E'a Periódico de Interpretación y Análisis [es] tells that, according to parcial results of the 2012 Population Census, there are 10% less Guaraní speakers in the country. Among the factors the blog lists [en] for this situation, we find “resistence, voluntary or not, from the political class to include [the Guaraní language] in the state and social organizations the usage of the language […] and maybe more relevantly, this progressive decreasing is the failure of the formal biligual education, especially the Guaraní one, in schools and universities, both public and private”.